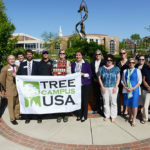 This year’s Arbor Day Celebration will take place at 4 p.m. on April 20. 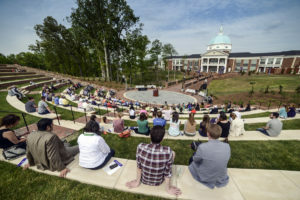 A few weeks before graduation last year, down 48 steps into a new amphitheater, HPU First Lady Mariana Qubein began yet another Arbor Day celebration. She talked about potential. 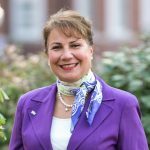 She always has ever since her husband became HPU’s seventh president 12 years ago. 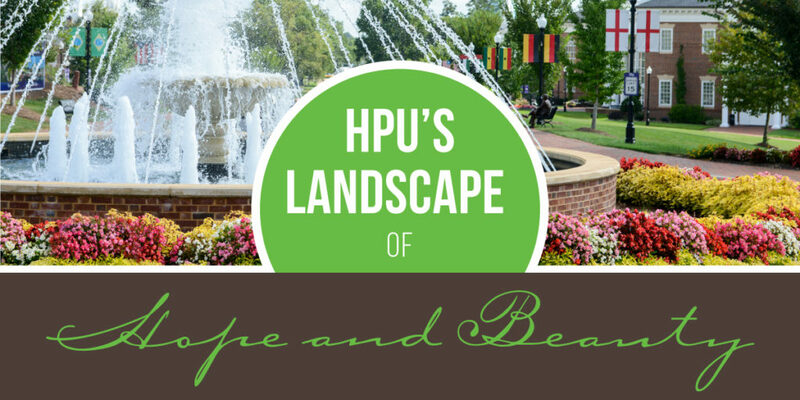 Her vision helped turn HPU into an academic Garden of Eden that attracts students, awes visitors and brings accolades. 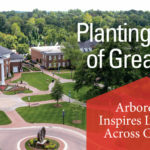 Her vision inspired the school’s board of trustees to give the beauty of the campus a special name: the Mariana H. Qubein Arboretum and Botanical Gardens. Anyone who comes can see 25 gardens, 500 trees and 3,000 different plants from all over the world. But it’s more than just numbers. 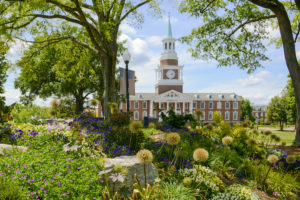 Every 10 steps, the gardens unveil botanical surprises that have turned HPU into an outdoor classroom and earned the school a Tree Campus USA distinction eight straight years. But like her husband, Qubein never settles. 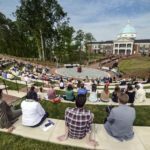 In late April, in the Alumni Avenue Amphitheater behind Cottrell Hall, she told the crowd the area around her will soon be awash in color with plants, fountains, flowers and trees. For her, such beauty brings inspiration and inner peace, life and hope. “Just imagine,” Qubein told the audience. They do. Because of Qubein, it’s not hard. Eleven years ago, where she saw grass and dirt, Qubein dreamed of seeing explosions of natural color that reminded her of a Monet painting. She talks to her husband, HPU President Dr. Nido Qubein. She talks to her friends in High Point. She takes notes on her iPhone during her travels. Twice a month, she walks the campus with other like-minded plant enthusiasts to see what else needs to be done. One of those she walks with is Jon Roethling, HPU’s curator of the grounds. Roethling came to campus in 2010. He’s a North Carolina native who grew up gardening. He earned a horticultural science degree from N.C. State, worked with renowned botanical experts and traveled the world looking for plants. 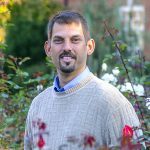 “There’s something about gardening that connects with people’s souls,” Roethling says. “It offers that refuge, that escape, and when I came here, I told people that if this is the last job I’d ever have, I’d die a happy man. 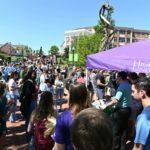 HPU’s legacy of green continued this year. Three gardens received new names to highlight the generosity of campus supporters Sandy Rankin, Daphne Horney, and James and Phyllis Morgan, husband and wife. 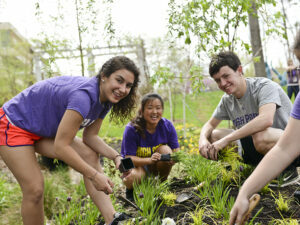 Over the past few years, HPU has turned the gardens into a learning lab. Students conduct research, study plants, create sculptures, take photos and draw leaves for class assignments. 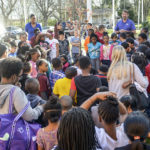 This past year, students, faculty and staff stepped beyond campus and planted seven community gardens to help feed families, engage neighborhoods and connect High Point to High Point’s university. HPU students get that. And they help to plant, weed and keep the gardens beautiful. One of those students is Garlan Miles, a senior from Matthews, North Carolina, majoring in video game design. Her favorite spot is the Woodland Hillside Garden behind Blessing, a residence hall. There, she finds her favorite plant, the Golden Paperbush. She smelled it before she saw it. It was this sweet perfume. Qubein grew up planting roses with her mother. 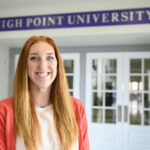 She came to HPU and earned a biology degree. Today, she is a mother of four, a grandmother to three and first lady to more than 4,800 students. For her, the students are like her favorite flowers. They need to be nurtured to grow. And grow, they do. 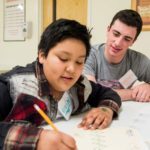 In the gardens, they study and volunteer, create art and understand science. Thus, they begin to understand — the true nature of nature.